My Mum's scarves keep winning, lmao. Beautiful...for a second, i thought you had lipstick on. Love it! 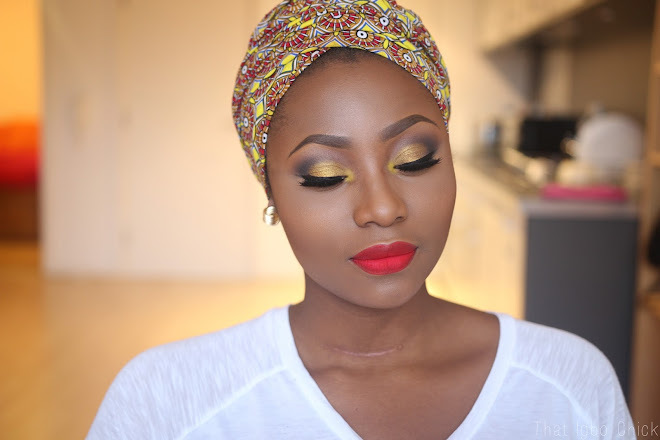 In love with this look, flawless!!! Beautiful. Please where did you get the gloss from? 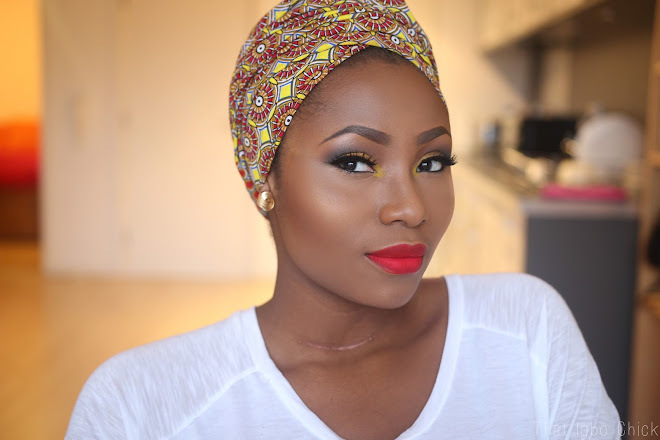 where in Niaja did you purchase this gorgeous lipstck? Hi Dimma,im currently battling acne and bad skin pls help a sister! This look is soooo beautiful!!! Amazing!! You are naturally cute and so talented!! Love the colors that you used. And this lip gloss is just PERFECT. Please, when could i purchase it? Thank you! absolutely gorgeous ! your make-up looks always inspire me, i just love them. Absolutely gorgeous. Where can I get the lipgloss pls in the UK? Lovely! I hardly watch makeup tutorials, but the ankara made me do it. Lol! Love the look. 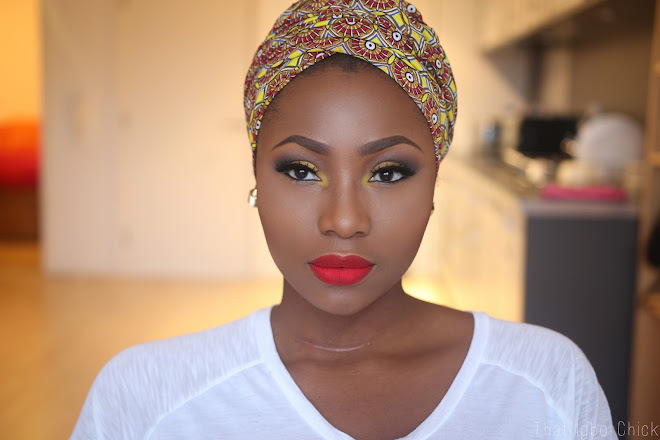 Another beautful igbo girl. Go girl!! Your creativity and camera stay double winning. This look is so beautiful, and you my dear are absolutely stunning! Great job! Please where can I get this lip gloss? I'm in Abuja . Please! You really keep your mum busy! The make up z beautiful as usual, pls can u do a post about your skin care routine and the products u use. hi, acne.org doesn't guarantee deliveries to nigeria and i really need the products, what do i do? Not into the gold dust around the eyes, would have made a better impression on the brow bone; lips are perfectly done though. Love the source of inspiration, love your work. I loved that look so much, that I'm recreating it for my wedding, which is just few days away. Absolutely love it.